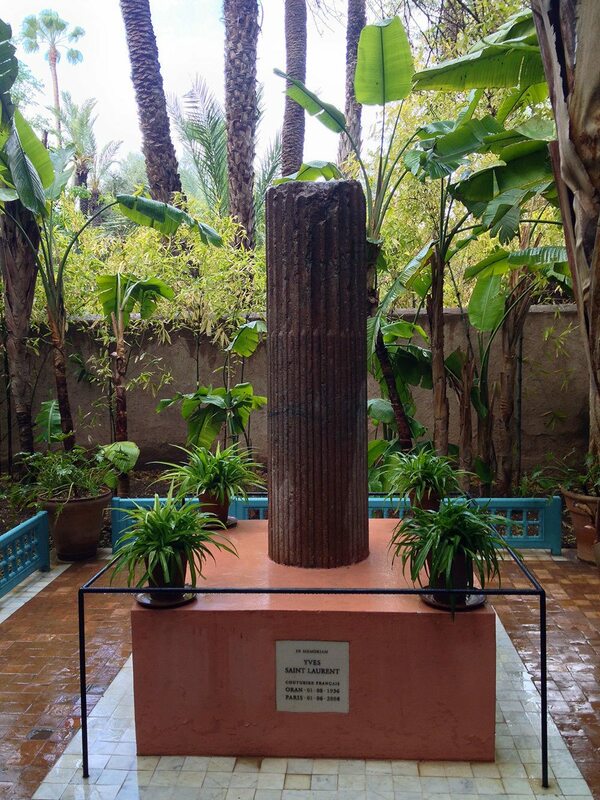 It’s raining on and off on our last day in Marrakech, Morocco, and yet we have the entire day full of places to visit before heading to the airport later on the afternoon. The Marrakech airport is just a few minutes from the center of the city, so it is easy to leave some sightseeing even for your last day. 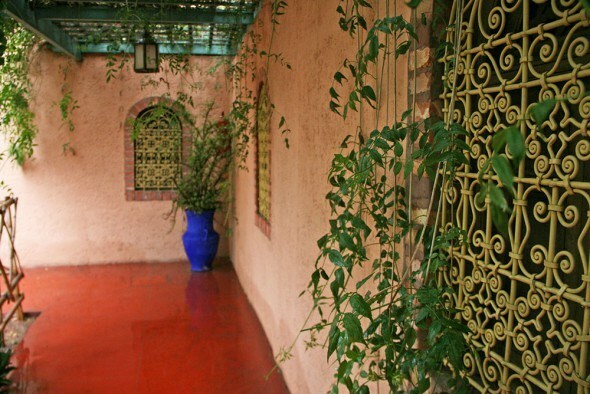 One of the places to visit is the Jardin Majorelle gardens. 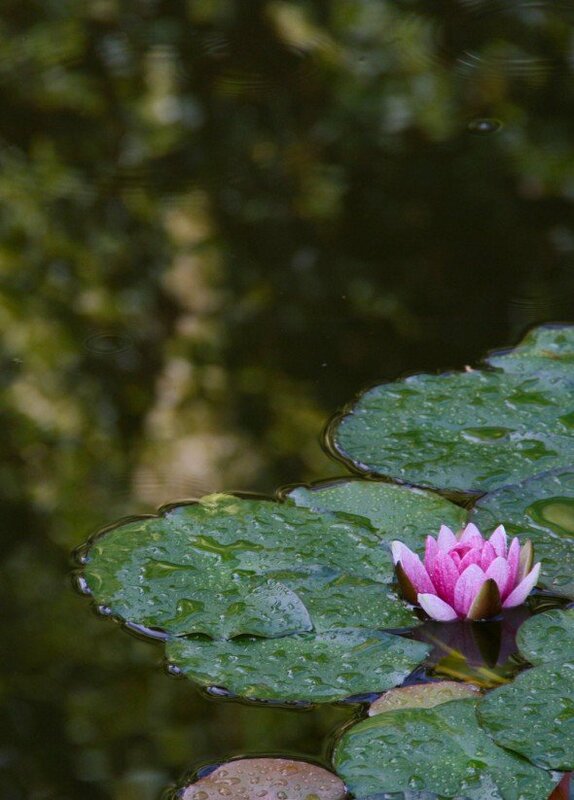 I am glad we visited the gardens even though it was a rainy morning. 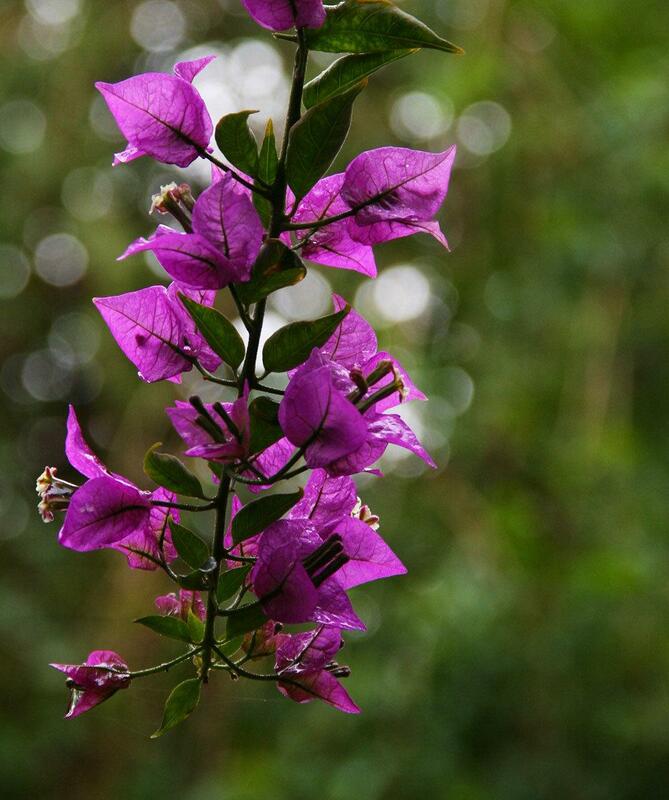 The flowers of the garden were glad of the down-pouring rain on that day. 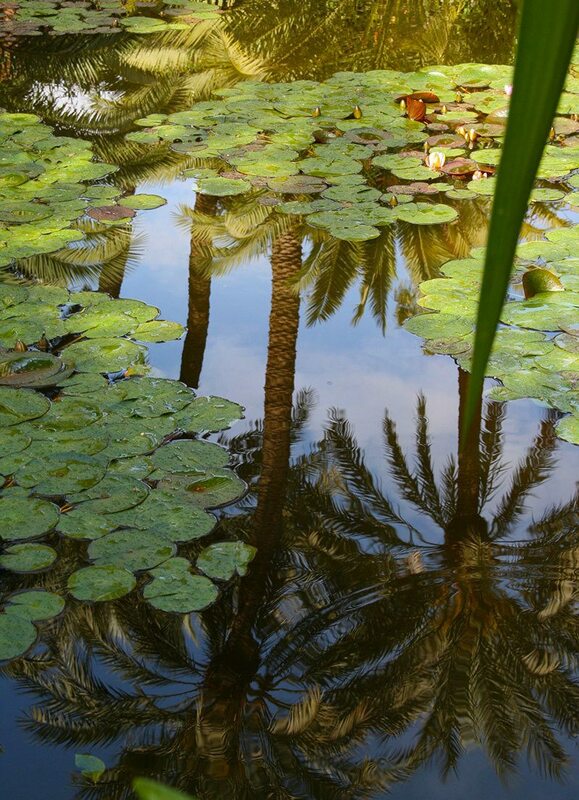 Water is always welcome in Marrakech, especially at the gardens, it makes the gardens grow and flowers bloom. 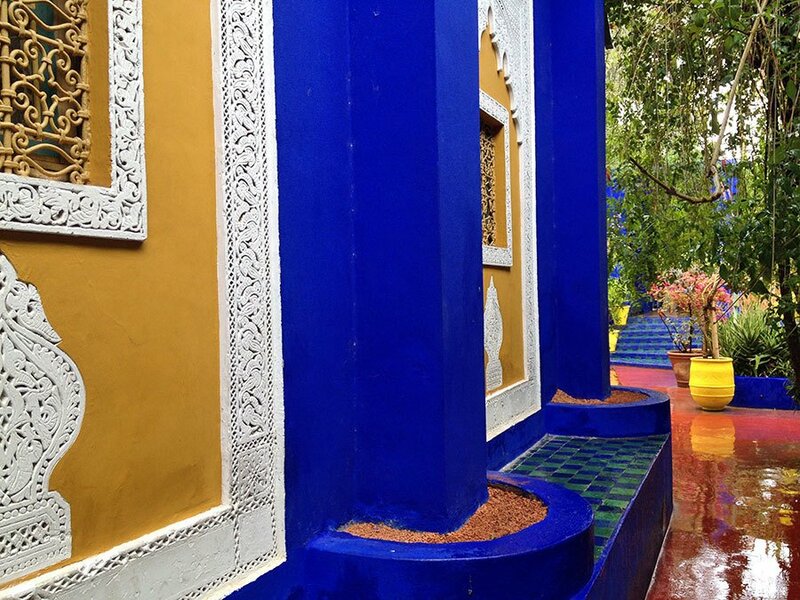 The Jardin Majorelle is gorgeous, and it is easy to see why Yves Saint Laurent and Pierre Bergé fell in love with in the 60’s and later on purchased the gardens in 1980 and saved it from becoming a part of a hotel complex. 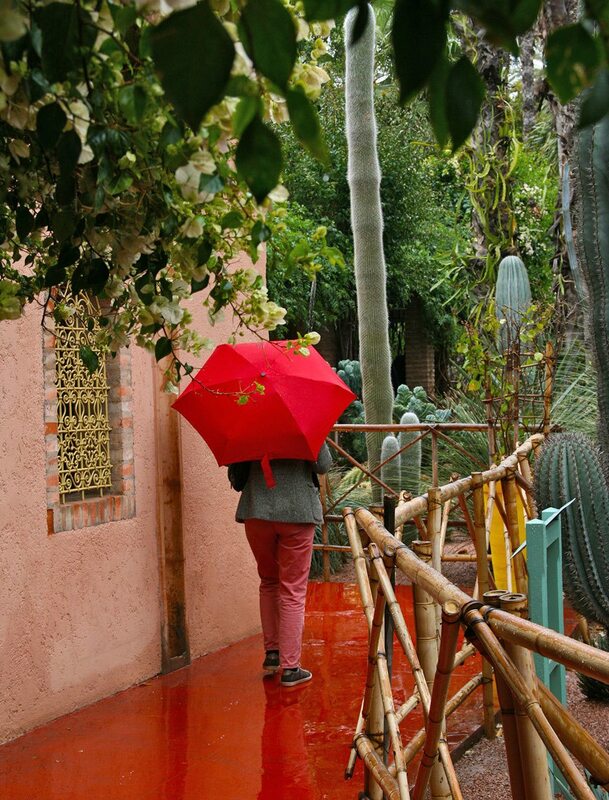 In all honesty, I don’t know much about flowers, and the rareness of some cactus plants, and how amazing it is that the garden has plants from several continents, goes wasted on me, but you don’t have to be floriculture enthusiast to enjoy Jardin Majorelle. 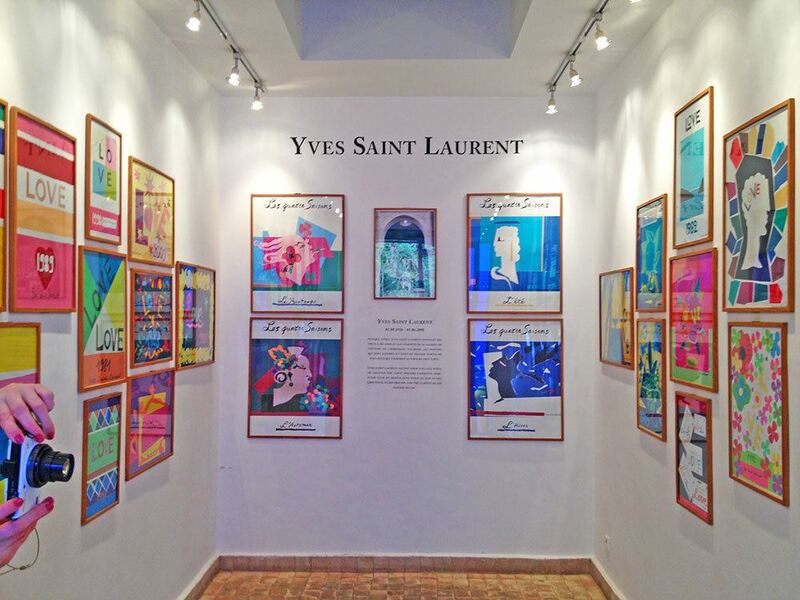 In fact, the museums and the architecture are equally impressive, and then of course, there is the whole Yves Saint Laurent connection, and it makes the palms of my hands sweat just from the thought that I am entering the same gardens and rooms, where he used to work and live. 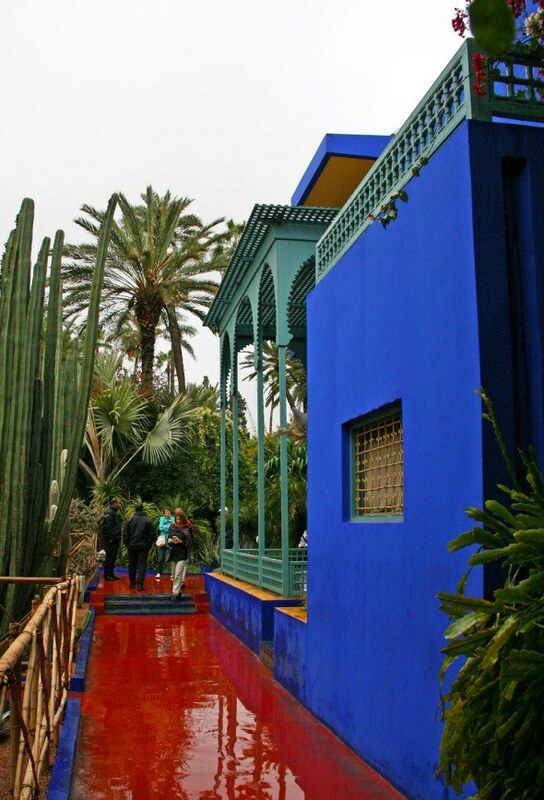 The garden was built by French artist Jacques Majorelle, who commissioned architects to build the stunning buildings and he created the gardens for originally his own enjoyment and inspiration for his paintings. After 24 years of building, and cultivating the gardens, he was forced to open the gardens for public in 1947 to upkeep with the expensive maintenance costs. Today Jacques Majorelle is more known for this stunning garden than he is for his paintings. The Jardin Majorelle truly isn’t just a garden, it is an art installation of vividly painted buildings and gezebos mixed with cactus and palm trees, colorful flowers climbing up the buildings, and a pond where water lilies live. 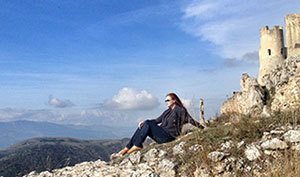 It’s a place for reflection and inspiration. Yves Saint Laurent and Pierre Bergé discovered Jardin Majorelle in the 60’s and it became Yves Saint Laurent’s place for inspiration, until finally the couple purchased it and moved to live in. We quickly became very familiar with this garden, and went there everyday. It was open to the public but was almost empty. 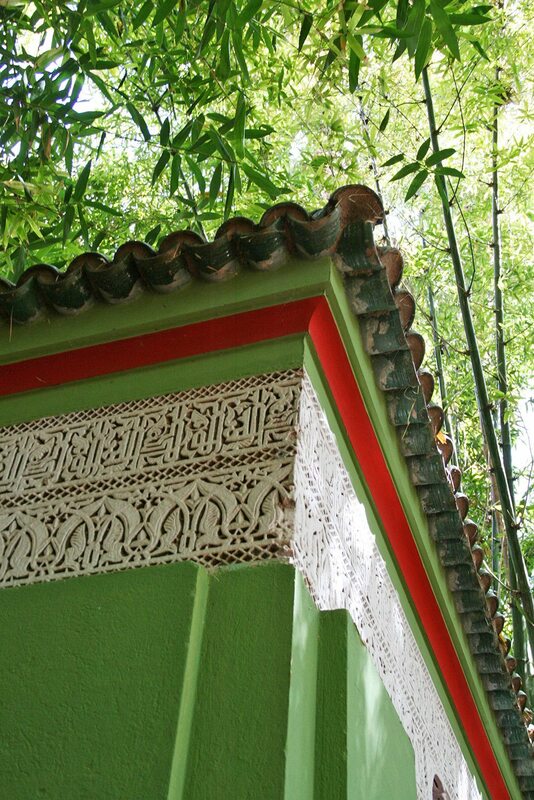 We were seduced by this oasis where the colors used by Matisse were mixed with those of nature. 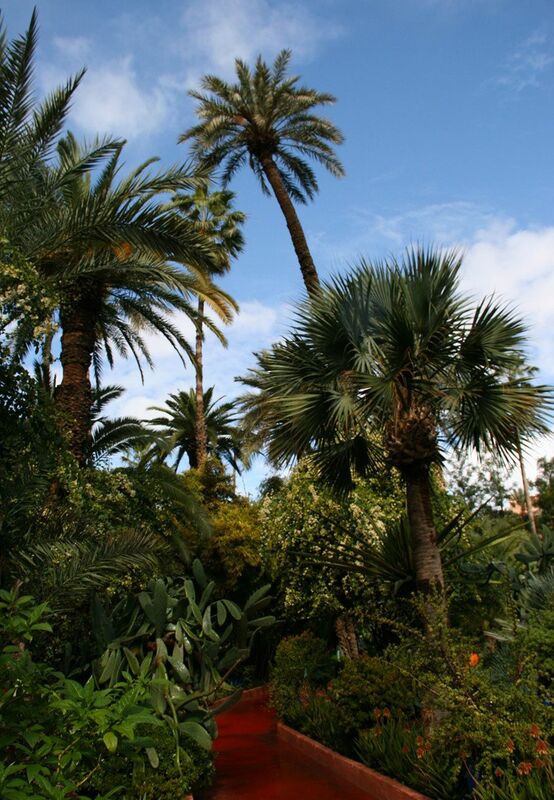 Yves Saint Laurent and Pierre Bergé did extensive improvements to the gardens while respecting the original plans of Jacques Majorelle. 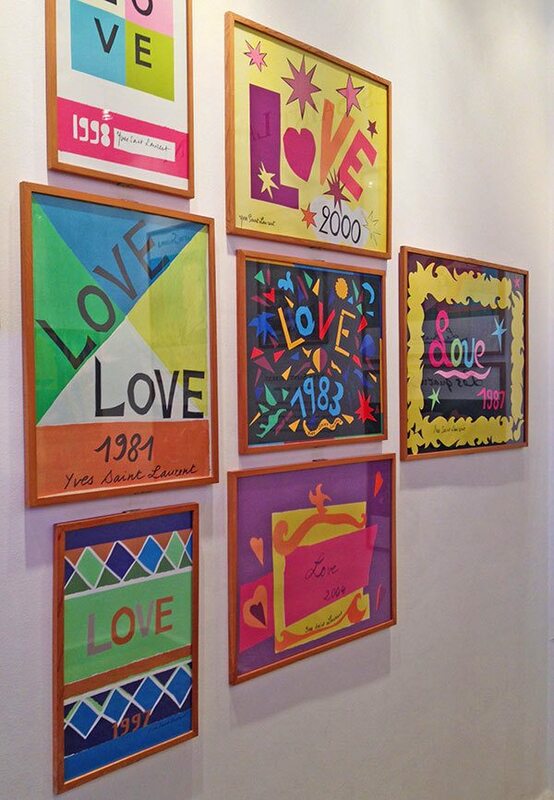 They also turned Jacques Majorelle’s painting studio into a museum of Berber culture, and created a Love Gallery of Yves Saint Laurent’s love-inspired art. 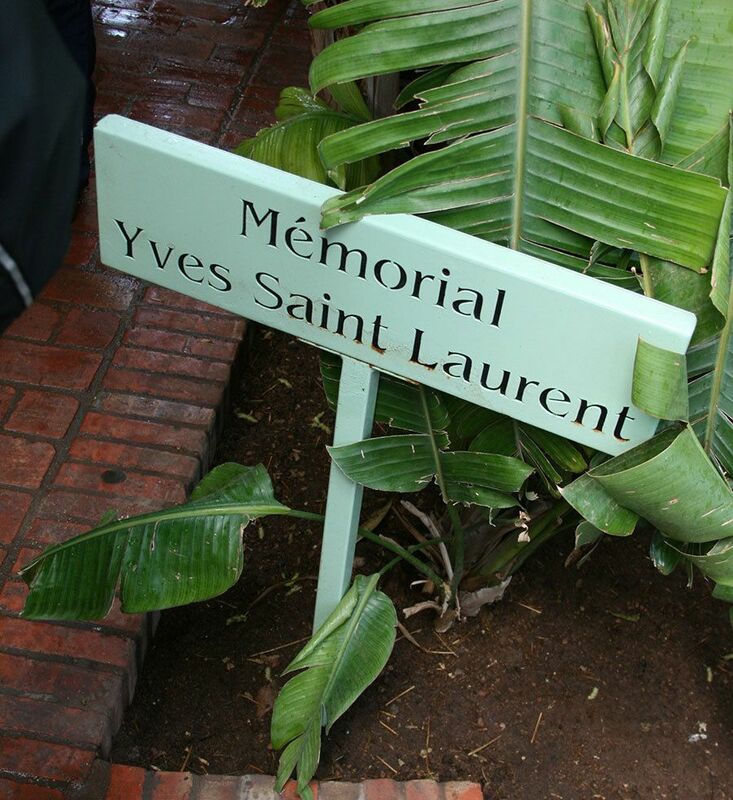 You can see signs “Memorial Yves Saint Laurent” around the gardens pointing to a memorial built for him. He passed away on June 1, 2008, in Paris and a memorial, made of a Roman pillar brought from Tangier, was made to create a special place for people to remember him. I heard some German tourists disappointingly talking they were hoping to see the grave and the final resting place of Yves Saint Laurent, not a stick on a pedestal (excuse my German if I understood wrong). 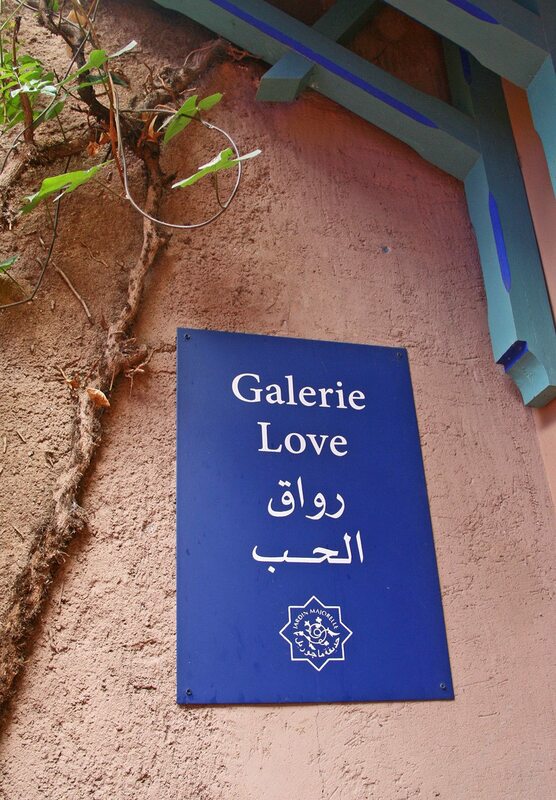 The truth is, the entire Jardin Majorelle is the resting place for the genius of Yves Saint Laurent. His ashes were scattered in the rose garden of the Villa Oasis in Jardin Majorelle, and the gardens are his final resting place. 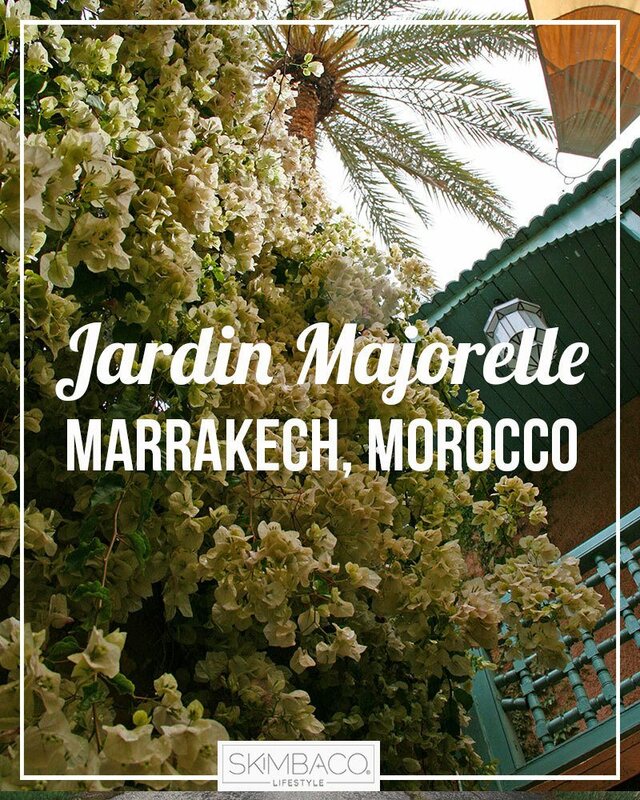 Simply said, Jardin Majorelle is a must visit when you are in Marrakech, whether you are a fan of Yves Saint Laurent, flowers, or Moroccan architecture. 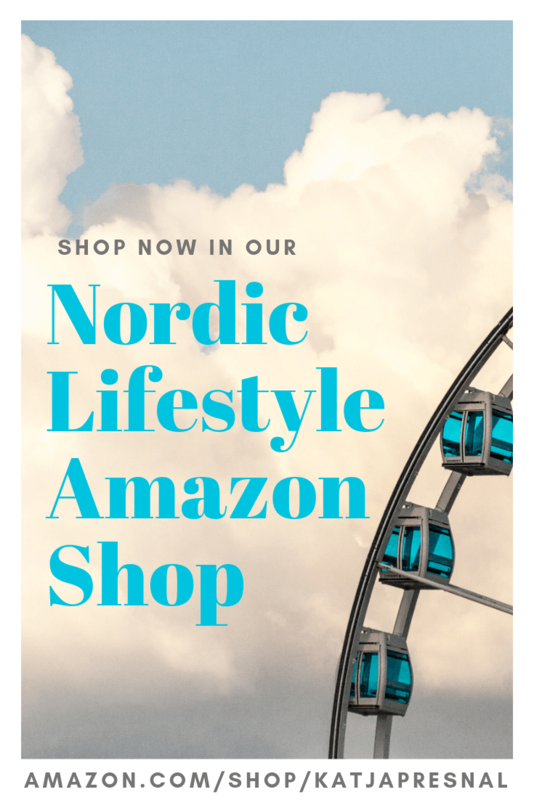 It’s also a great place to visit with the entire family, both children and grandmas will love walking around the gardens, and it is not too big to walk it entirely through. 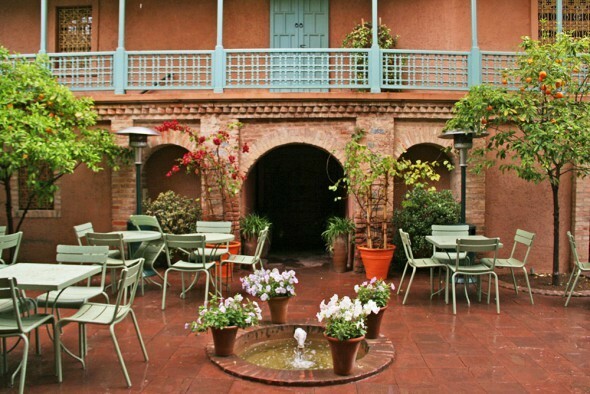 There are benches to sit on, cafe to spend time in, and the museums for learning. I heard on sunny days and during the high tourist season the gardens are very popular, it is one of the most visited tourist attractions in the city, and it’s almost impossible to even get a table in the cafe. So on the end I think we lucked out that the rain kept a few people away, and it was great the gardens were less crowded for taking photos. And by the time we were done touring the gardens, the sun was shining on a blue sky. Never let rain keep you from exploring. 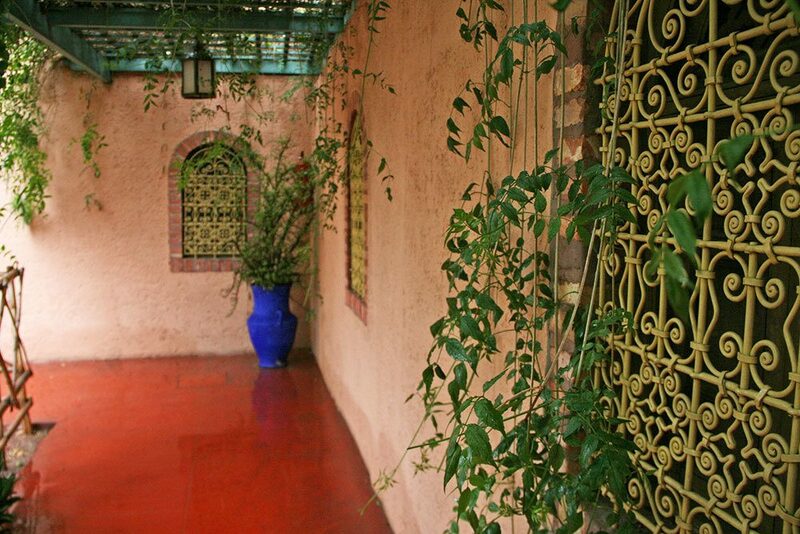 More about Jardin Majorelle at JardinMajorelle.com. 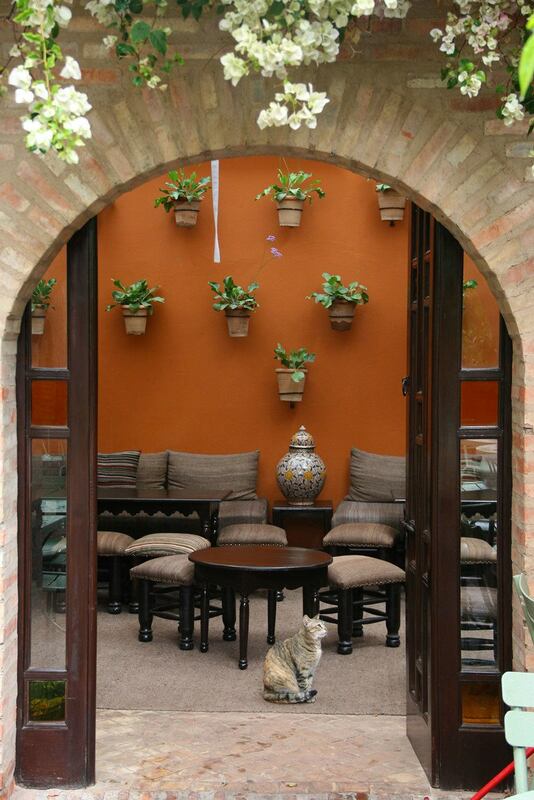 Disclosure: I was in Morocco on a trip organized by Norske Reiseblogger and sponsored by Sahara Experience. 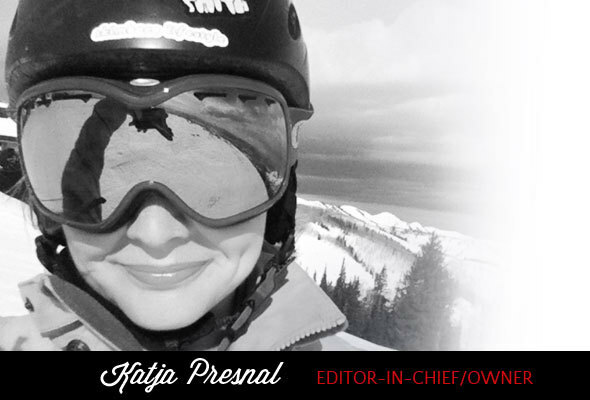 My opinions are my own, as always.